Humpback whales and right whales are also experiencing an ongoing unusual mortality event, and those investigations are still open. Miami, United States: US marine investigators are probing an unusual die-off of minke whales along the US east coast, marking the third such population of large whales in the past two years, officials said Wednesday. 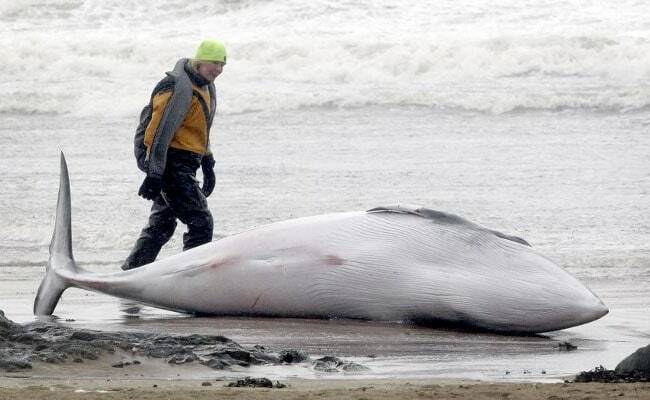 A total of 28 minke whales (Balaenoptera acutorostrata) have died since January 2017 in the Atlantic Ocean from Maine to South Carolina, said the National Oceanic and Atmospheric Administration (NOAA). The deaths, most of which were in the northeast, are more than double the normal yearly death rate of 12 for this population of large, gray whales. Nine had evidence of entanglement with fishing gear, eight had signs of infectious disease and two had died of blunt force trauma. Other necropsies are ongoing, NOAA said. The US agency declared an "unusual mortality event" to uncover the cause, marking the third such probe in recent years. A total of 62 humpback whales (Megaptera novaeangliae) have died along the Atlantic coast from Maine through Florida since January 2016. And 18 North Atlantic right whales (Eubalaena glacialis) have died since June 2017, 12 in Canada and six in the United States. "We haven't had three independent large whale unusual mortality events coincide along the same geographic area over the same time period before," said Teri Rowles, NOAA's marine mammal health and stranding program coordinator. "We will continue to investigate all three of these," she told reporters on a conference call. Most of the necropsies so far on the humpback whales show blunt force trauma, suggesting ship strikes as the cause of death. The second leading cause appears to be fishing entanglements, followed by infectious disease. The findings so far suggest these whales, which usually avoid boats, are somehow more often coming in contact with them but researchers aren't sure why. "That requires a lot more factors than just looking at the bodies themselves," said Rowles. "It is looking at where they are over time, what the drivers may be ecologically and environmentally for them to be there." Minke whales are solitary baleen whales which grow to about 10 yards (meters) long, about the size of an orca. The 28 deaths this past year are not considered a threat to the sustainability of the population, which numbers between 1,400-2,500 animals, NOAA said. Minke whales are not endangered species but are protected under the Marine Mammal Protection Act. The 45-year-old act prohibits, with certain exceptions, killing marine mammals in US waters and by US citizens on the high seas.